I’m always proud to say DHCD has made more affordable housing happen over the last four years in levels never seen before in the District of Columbia—thanks to the unprecedented investments made by Mayor Bowser. But for all the residents who are now benefiting from our increased production and preservation of affordable housing—over 7,200 units since 2015—more individuals and families are still seeking a Fair Shot at living and thriving in all eight wards of our great city. Increasing investments in the Housing Production Trust Fund (HPTF) by 30 percent—to $130 million. Increasing investments in the Housing Preservation Fund by 50 percent—to $15 million, which will yield an additional $45 million in private investment that will more quickly provide the financing needed to help preserve existing affordable housing. Creating a new $20 million Workforce Housing Fund, which will leverage private sector investments 9 to 1—resulting in a $200 million fund. All of these monies will be spent to create and preserve housing for workers such as teachers, police officers, firefighters, janitors, and social workers. Providing $37 million in new funds to continue the implementation of Homeward DC to make homelessness rare, brief, and non-recurring. 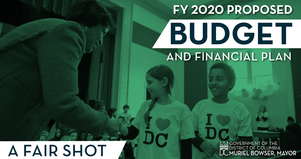 Adding $5.2 million to expand and increase Schedule H—DC’s income tax credit to help offset rising property taxes. The Mayor’s intentional and innovative vision is not limited to the District alone. 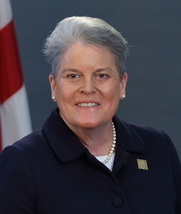 She is advancing regional and national strategies on solving the affordable housing crisis, most recently by holding the first formal meeting as chair of the National League of Cities Housing Task Force. Also, her vision isn’t targeted just to policy and budget stakeholders—District residents are a large part of the solution. Truly, these are exciting times, as we all play a part in increasing the supply of affordable housing in the District. On March 19, Mayor Bowser announced the selection of 11 projects that will receive $138 million in DC Government funding to produce or preserve housing for more than 2,600 Washingtonians—including residents experiencing homelessness. The 11 selected projects include 1,180 units that will produce and preserve affordable housing across Wards 1, 4, 5, 7, and 8. The projects consist of five new production projects, three preservation projects, and three mixed projects that preserve existing units but also will add new affordable units. All projects will serve households making no more than 80 percent of the Median Family Income (MFI, $117,200 in FY 2018, based on a family of four). Over 12 percent of units will be designated toward permanent supportive housing (PSH), serving individuals and families transitioning from homelessness and making no more than $35,160 (30 percent MFI). The funding for the projects includes $107,430,898 from the HPTF, $26 million in equity from 9 percent low-income housing tax credits (LIHTC), $5 million in Home Investment Partnerships (HOME) funds, and 146 Local Rent Supplement Program (LRSP) vouchers. The projects will now proceed to the underwriting stage and join other selected projects already in DHCD's pipeline. The next Request for Proposals for affordable housing projects is anticipated to be issued in Summer 2019. The 11 projects are listed below. Spring Flats Family (Ward 4): Will produce 67 units using $9,943,765 in HPTF, including 58 units of affordable housing and nine PSH units. Developer: Spring Flats MD, LLC, comprised of Victory Housing, Brinshore Development and Banc of America Community Development Corporation. 218 Vine Street NW (Ward 4): Will produce 121 units of affordable housing, including 24 PSH units, using $12,729,738 in HPTF; $11,000,000 in 9% LIHTC ($1,100,00 annual allocation). Developer: Jair Lynch Real Estate Partners. 17 Mississippi Ave. SE Apartments (Ward 8): Will produce 41 units of affordable housing, including nine PSH units using $8,022,141 in HPTF. Developer: Legacy Real Estate Development LLC. Kenilworth 166 Phase 1 (Ward 7): Will provide 166 units of affordable housing, including 17 PSH units, using $17,597,387 in HPTF. Developer: The Warrenton Group, Michaels Development Company, and the DC Housing Authority (DCHA). On March 13, Mayor Bowser cut the ribbon at The Beacon Center, a mixed-use development in the Brightwood neighborhood of Ward 4 that includes 99 affordable housing units—as well as an array of community services—targeted at low- to moderate-income households. The Beacon Center, located at 6100 Georgia Avenue NW, is a collaborative effort between private entities and city agencies, and is a redevelopment of the historic Emory United Methodist Church. The development will house close to 300 individuals and families—including veterans, seniors, and individuals transitioning from homelessness. Specifically, 18 PSH units are for households making no more than $35,160 (30 percent MFI), and 81 units are for households making no more than $70,320 (60 percent MFI). 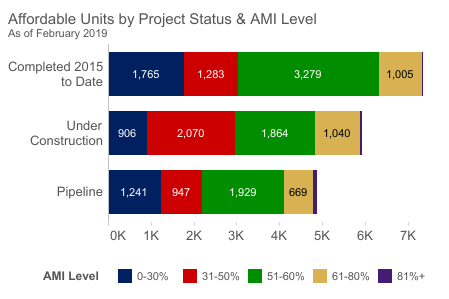 Nearly one-third of units are family sized. The development of The Beacon Center is a collaboration of DC Government agencies, including DHCD, the DC Housing Finance Agency (DCHFA) and DCHA. The affordable housing component was made possible by $17.2 million in HPTF financing from DHCD. DCHFA provided $21.6 million in bonds and $16 million of equity raised through 4 percent LIHTC. DCHA is administering $215,352 annually in LSRP funds to support eight efficiency and one-bedroom units for formerly homeless persons. The Beacon Center also includes multi-purpose space for cultural, civic, and social services, as well as a newly renovated 500-seat multipurpose sanctuary and community theater. The Mayor was joined at the rousing Beacon Center event by Ward 4 Councilmember Brandon Todd and over 200 members from the local and faith-based communities. The Emory Fellowship (Emory United Methodist Church, Emory Beacon of Light, Inc.) and The Community Builders are the development partners for the project. See media coverage of the event here. Diane’s House Ministries and Flaherty Collins Properties received nearly $6.8 million in equity from 9 percent LIHTC to construct a 42-unit affordable housing project at 2619-2621 Bladensburg Road NE in the Gateway neighborhood in Ward 5. Diane’s House will consist of 39 PSH units for individuals and families and three affordable units for on-site staff. Residents for PSH units will come from the District’s Coordinated Entry System and will receive supportive services from Community Connections, a non-profit agency offering behavioral health and residential services. A nonprofit’s ability to provide social services to low-income residents in Wards 7 and 8 has been greatly expanded thanks to $3.6 million in DHCD financing. 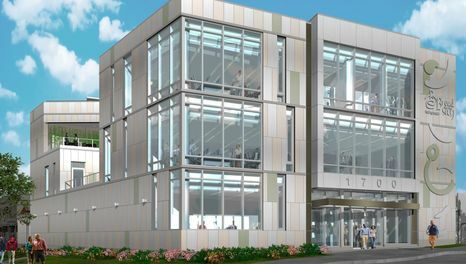 DHCD provided a $3.6 million loan using federal Community Development Block Grant (CDBG) funds to Bread for the City, Inc. (BFC), for a new 30,000-square-foot community facility at 1700 Good Hope Road SE in the Ward 8 neighborhood of Anacostia. The BFC Southeast Center will allow BFC to serve 20,000 more clients in Wards 7 and 8 through social services programs such as: (1) legal representation on housing, family, domestic violence, and public benefits law; (2) primary medical care, behavioral health services, as well as dental, vision, and wellness care; (3) expanded food distribution capabilities, to include a rooftop vegetable garden and educational space; (4) expanded clothing distribution services; and (5) a new jobs center. The center is expected to open in 2020. Want a special preview of projects soon to be available to the District’s development community? Join Mayor Muriel Bowser and Deputy Mayor of Planning and Economic Development Brian Kenner at the Fifth Annual March Madness. At the event, attendees will learn about upcoming solicitation opportunities and can network among the public and private sector DC development community. TeamDHCD looks forward to seeing you there! 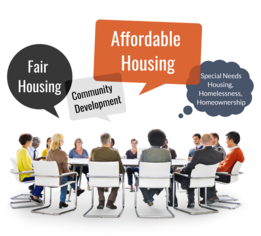 We have one more “Needs Assessment and Fair Housing” hearing, on March 28, where you can give input on: (1) spending priorities for federal entitlement funds, to will help form a basis for developing the District’s draft FY 2020 Annual Action Plan; and (2) Fair Housing Impediments in the District as part of our efforts to affirmatively further fair housing and our 2012-2017 Analysis of Impediments to Fair Housing Choice (AI). RSVP for the hearing here. All hearings will be livestreamed at www.dccouncil.us/videos. Save the Date: June 15 for Annual Housing Expo! 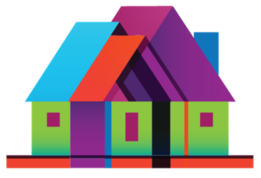 In just a few months, we'll be hosting the District's biggest celebration of housing! More details are to come but make sure you put the 11th Annual DC Housing Expo and Home Show on your calendar. We look forward to building on the great memories from last year's Expo. See video clips here and here (the second is thanks to WHUR). In February, 21 households in the District received more than $1.3 million in down payment and closing cost assistance to become first-time homeowners. Congratulations to our newest Home Purchase Assistance Program (HPAP) and Employer Assisted Housing Program (EAHP) recipients! DHCD Income Limits: Can help determine your eligibility for DHCD programs. Inclusionary Zoning (IZ): Get an overview of this affordable housing tool. IZ Dashboard: View a map and/or table of IZ projects. Community-Based Organizations (CBOs): Provide services such as housing counseling and small business technical assistance. Home Purchase Assistance: Learn about how we help residents get the keys to their own home. Rent Control Forms: Access forms for housing providers and tenants. Five homeowners share how it is possible to purchase affordable housing in DC. This video shares how we are helping residents by producing and preserving affordable housing, and revitalizing neighborhoods. 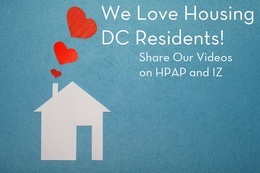 Check out our short videos about how much we love housing DC residents using HPAP and IZ. Inclusionary zoning: In this video as well as this video, see how IZ has given residents a shorter commute and proximity to more amenities. 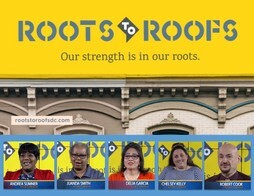 HPAP: The videos here and here share a variety of stories about the journey toward homeownership. Following are some highlights of recent DHCD outreach and educational activities. Sharing the Good News on DC's Affordable Housing Successes. Director Donaldson recently met with a variety of stakeholders on the local, national, and international stage, explaining the District’s significant investments in affordable housing, and our bold plans for the future. 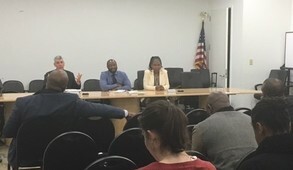 Coalition for Nonprofit Housing and Economic Development (CNHED): Donaldson and other DHCD policy staff met with CNHED board members on March 7 to provide updates on developments in affordable housing and small business technical assistance. National League of Cities (NLC): During its Congressional City Conference March 10 – March 13, NLC kicked off the first formal meeting of its Housing Task Force, of which Mayor Bowser is the chair. Donaldson and DHCD policy staff were there in full force, to include Donaldson speaking before the Large Cities Council group, asking for input on the task force and facilitating a discussion around the question: “What would you do if you weren’t afraid to fail”? World Bank Forum: Every two years, a forum of local and international World Bank staff meet to discuss issues such as urban development—and this year Director Donaldson was a key presenter (photo at left). 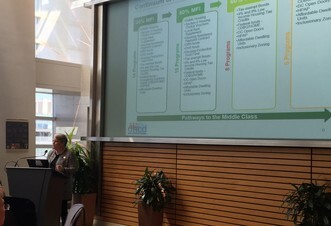 Donaldson spoke before over 50 attendees of the 2019 Forum of the World Bank’s Social, Urban, Rural and Resilience Global Practice (GPSURR), sharing the District’s approach to achieving socially and economically inclusive housing. She was joined by two panelists who discussed the value of public-private partnerships: Ramon Jacobson, Director of LISC-DC, one of the managers of the District’s $40 million public-private Housing Preservation Fund, and Schroeder Stribling, CEO of N Street Village. 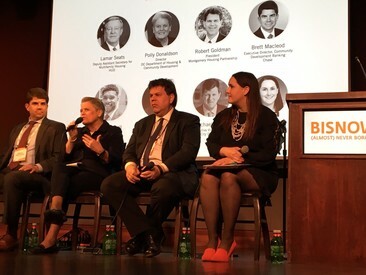 Bisnow Affordable Housing Summit: This Bisnow event occurred the day after Mayor Bowser’s SODA address; so before a captive audience of real estate developers, Donaldson emphasized the significance of the new investments proposed in the FY20 budget. She also touched on a wide range of topics, including the continued commitment to providing PSH for our most vulnerable citizens; the need create housing across the income spectrum; the success of our affordable housing preservation efforts—such as the $40 million Preservation Fund, the Tenant Opportunity to Purchase Act (TOPA) and the implementation of the District Opportunity to Purchase Act (DOPA); the potential of using Opportunity Zones to create housing; and the importance of planning and community engagement in ensuring all residents are part of the housing solution. DHCD Staffer Discusses How the District Helps Provide Multigenerational Housing. 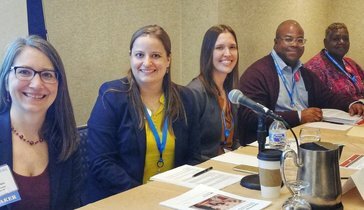 On March 12, Development Finance Division (DFD) Project Manager Anna Scallet (third from left in photo) participated on a panel on multigenerational housing at the National Community Reinvestment Coalition (NCRC) Just Economy Conference. NCRC works with community leaders, policymakers, and financial institutions to champion fairness, and fight discrimination in banking, housing, and business. Its annual conference is an opportunity to discuss new policies and approaches, learn, and collaborate.The session, “Everybody Under One Roof: Multigenerational Housing” featured participants from Generations United, the Woodstock Institute, and Mission First Housing Group. After a presentation focusing on data trends and the need to provide more flexibility in our existing housing stock for aging Americans, Scallet provided an overview of some District programs geared toward helping seniors age in place, including Safe at Home, the Single Family Residential Rehabilitation (SFRRP) program, and the Age-Friendly DC plan. She also touched on Accessory Dwelling Units (ADUs), and a few housing innovations in the multifamily sphere, focusing on the new Plaza West development specifically designed to serve grandfamilies. Jamarl Clark, Plaza West's community life program manager, shared how this new housing and services model is working for persons like Cassandra Gentry, Plaza West’s first grandfamily resident, who shared that the building is already fostering support and a sense of community. DHCD Connects with Howard University Architecture Students Interested in Affordable Housing Development. DFD Deputy Manager Reshma Holla was the guest lecturer before students from Howard University's College of Engineering and Architecture on February 26, sharing the local government's role in the design, financing, and development of affordable housing. Students learned about DHCD's successes, production goals, and policy priorities; the gap financing application process; compliance and monitoring requirements for housing developments; and other design and cost considerations for architects helping prepare a development proposal. She discussed the need to balance multiple priorities so that a project's overall design fulfills the District's requirements and is both high-quality and cost-effective. Students walked away with a better understanding of the architect's role in the design and delivery of a government-supported housing development. Looking at How to Improve our LIHTC Plan. LIHTC is a federal program used to encourage the private sector to invest in housing that is affordable to households earning no more than 60 percent MFI. DHCD is responsible for administering the LIHTC on behalf of the District. The Qualified Allocation Plan (QAP) is the District’s federally mandated plan for the allocation of LIHTC, and ensures that the tax credits are awarded to projects in line with federal requirements and District priorities. DHCD’s goal is to update our QAP every two years. 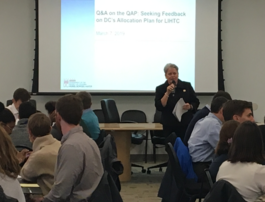 As part of the update process for the 2017 QAP, Director Donaldson welcomed approximately 50 participants, including non- and for-profit developers, and colleagues from partner agencies to a March 7 feedback session. Participants discussed the current QAP in working groups moderated by DFD staff. They weighed in on the most effective aspects of the current plan, what needs changes, whether the QAP is helping the District achieve its priorities, any useful approaches from other jurisdictions, and whether the implementation of income averaging—a new minimum set-aside option available since the 2017 tax bill—may further help the District achieve its goals and priorities. DHCD expects to incorporate the feedback as it updates the document, and will release a draft for a 30-day public comment period by early May, followed by a public hearing before the final 2019 QAP is published. Helping Residents and Housing Providers Get Answers to Housing Questions. Landlords, tenants, brokers, developers, and interested residents were able to get their housing questions answered at our March 12 “Let’s Talk Housing: A Dialogue with DHCD” workshop. The event was hosted on behalf of DHCD’s Housing Regulation Administration (HRA), which encompasses the Rental Accommodations Division, Rental Conversion and Sale Division and the Inclusionary Zoning (IZ) program. Rental Property Program Specialist Tonya Butler-Truesdale, Interim Rental Conversion and Sale Administrator Terrance Laney, and IZ Program Manager Gene Bulmash first provided brief overviews and updates on each division, and then answered a variety of questions. Much of the conversation focused on TOPA, DOPA, rent control and affordable housing. Please note these upcoming events. Don't forget to sign up for DHCD event alerts to get regular announcements and updates, as well as registration information through Eventbrite, and check our website for events from CBOs and other partners. The Bowser Administration is producing and preserving more affordable housing than ever before in the District's history. See the latest statistics from the Deputy Mayor for Planning and Economic Development's dashboard (see graphic), as well as a pipeline report of DHCD-specific projects. Please feel free to forward this newsletter to friends and colleagues, who can subscribe here.